Our prayers are with the people of Mindanao who have lost family members or been displaced by the typhoon and flooding. We are also praying for those involved in relief efforts. Estimates of the number affected have continued to change through the past day. The most recent reports as I post this are at least 1400 dead or missing. Most of the devastation was on the northern coast of the island, especially the cities of Cagayan de Oro and Iligan. 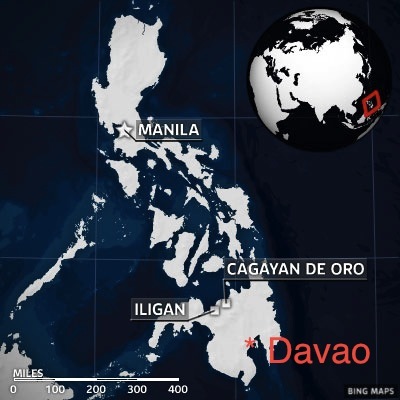 Davao City (where we will be moving next year) is on the southern side of Mindanao and our friends there report that area was minimally affected.